Welcome to day six of Imagine Gnats’ Roly-Poly-Along! 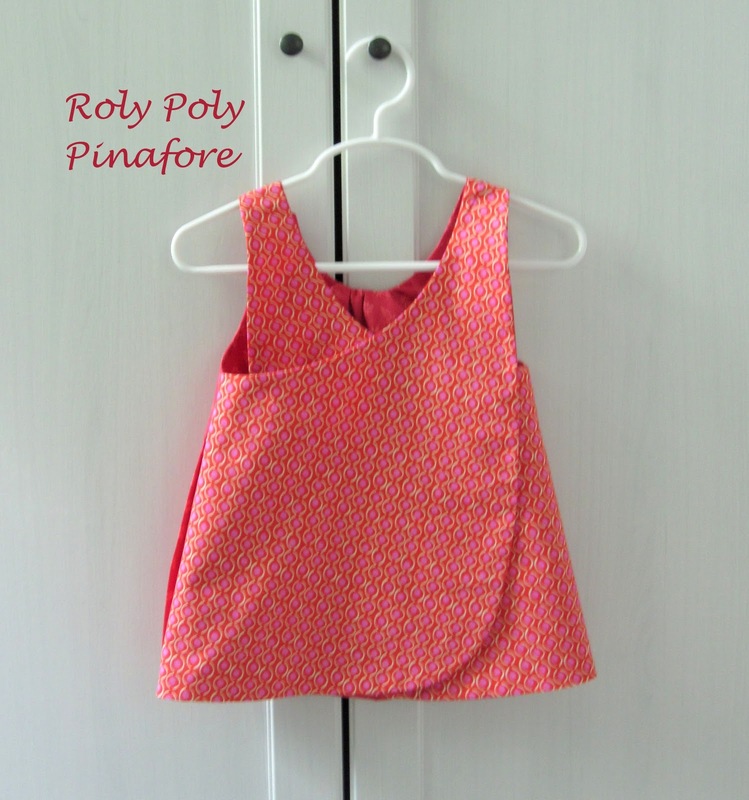 I made a Roly Poly Pinafore (Rachael’s newest pattern – find it here) a few weeks ago last minute for a birthday party and I cannot emphasize enough how quickly it came together. 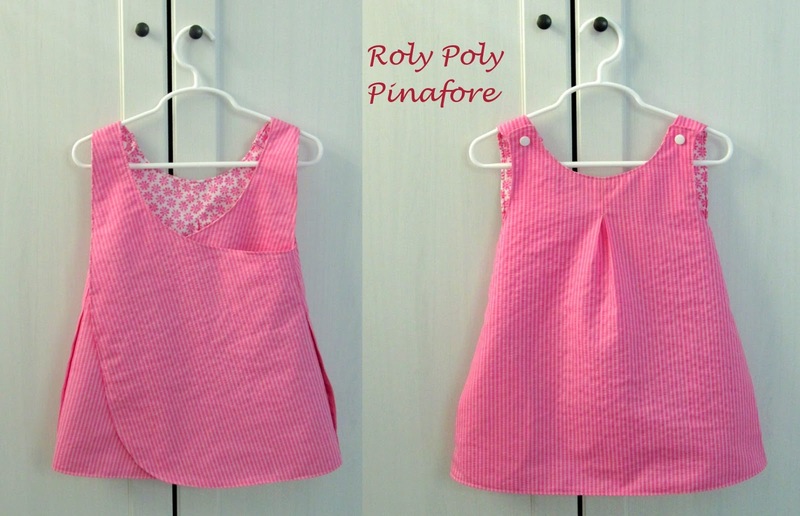 There’s an adorable pleat in the front and a few options for pockets, but the rest is just simply sewing it together. This is the version I made in size 4 for the little birthday princess. And of course it’s reversible so a pretty flower print was perfect for the other side. When I first saw this pattern I immediately wanted to make one for Bean, but with the criss cross in front. So I did, hehe. I was worried the pleat might look odd from the back so I did a simple gather in the same place instead. I did the side pockets by cutting the fabric out with the pocket attached to the front and back pattern pieces as one option in the pattern suggests. This makes things come together even more easily so I recommend reading through the pocket options before cutting out the pattern pieces. 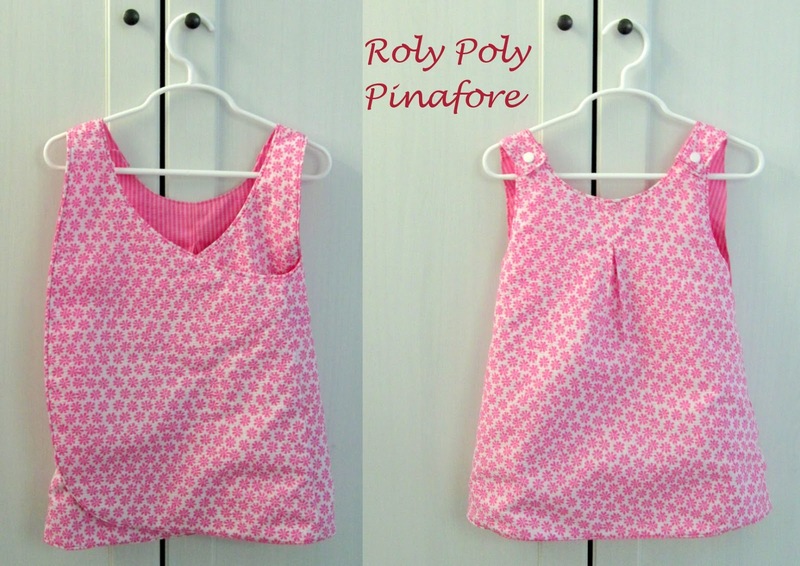 The first pinafore I made I just cut out the pockets separately like I’m normally used doing. Bean was not thrilled with the idea of pictures this afternoon so you’ll have to ignore the ridiculous faces she’s making. There are a lot more stops on the Roly-Poly-Along and you can check the schedule here. Today, Sarah from Emmylou Bee Doo is Roly-Poly-ing too, so make sure you drop by and see her version. I’m really in love with this pattern and definitely think it’s worth buying. I’m not an affiliate; just love Imagine Gnats and can’t wait to see what she comes up with next. Thanks Rachael, for the opportunity to Roly-Poly-Along! When do we get to see the birthday jacket???? 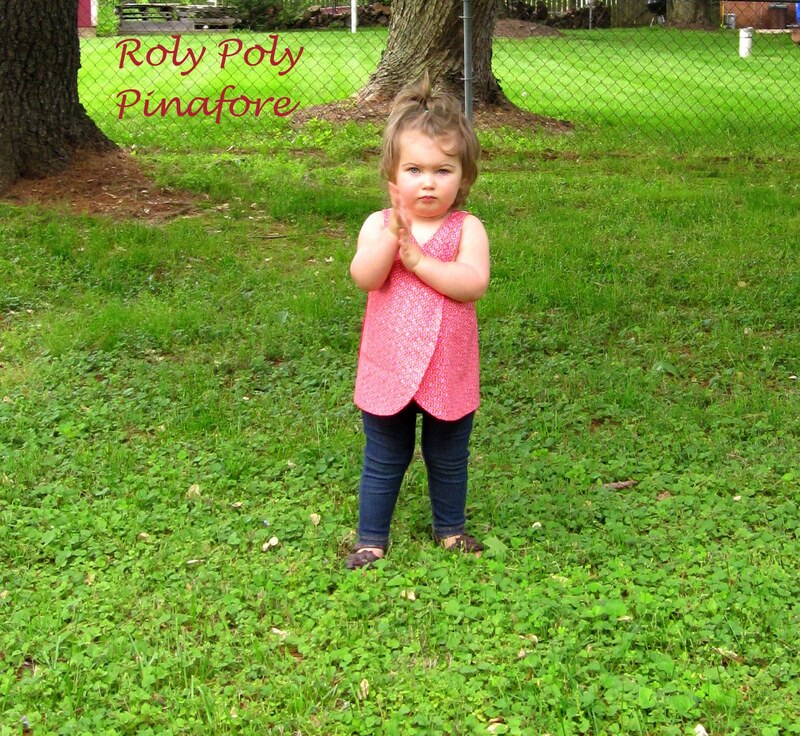 I love this pinafore with the jeggings. It's like Laura Ingalls Wilder meets Beyonce. Oh, this looks so great with the leggings! 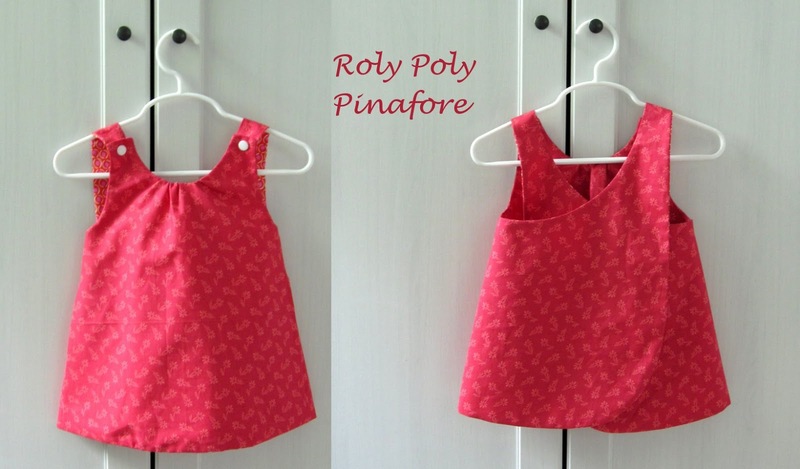 I have a similar pattern I bought years ago….a full three years before I ever too the next step and got a sewing machine (ha!). I really like the little gathers, it's just a sweet look for your sweet little girl! So cute! I love this pattern! I like your twist on it! And it's very cute over the leggings. 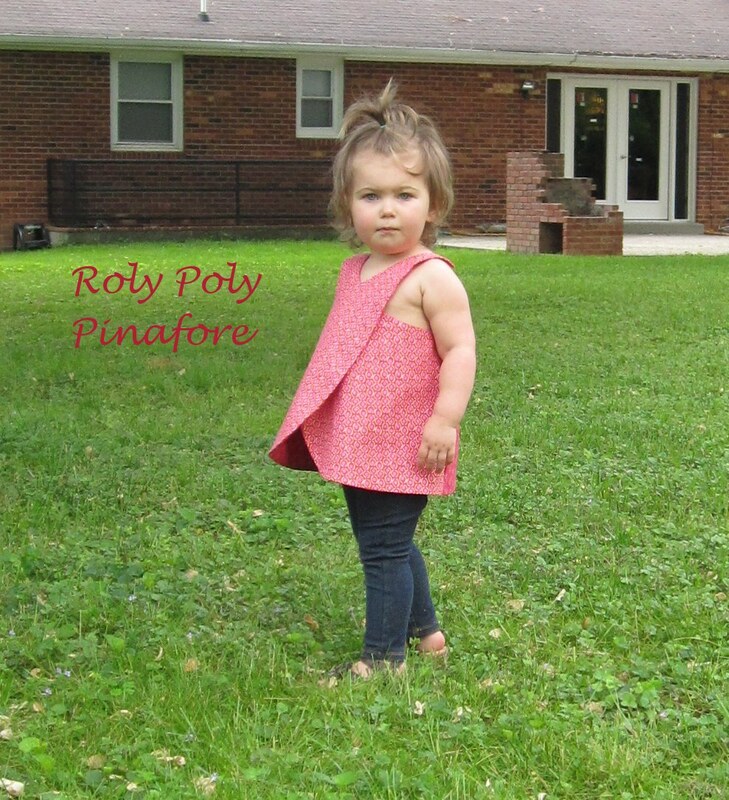 Such a cute pattern, your pinafore is so lovely and your little model is just precious! Wow…………..!!!!! Thanks for sharing such a beautiful idea.